When Joshua Safran was four years old, his mother--determined to protect him from the threats of nuclear war and Ronald Reagan--took to the open road with her young son, leaving the San Francisco countercultural scene behind. Together they embarked on a journey to find a utopia they could call home. In Free Spirit, Safran tells the harrowing, yet wryly funny story of his childhood chasing this perfect life off the grid--and how they survived the imperfect one they found instead. Eventually, Joshua finds the strength to fight back against his tormentors, both in school and at home, and helps his mother find peace. But Free Spirit is more than just a coming-of age story. It is also a journey of the spirit, as he reconnects with his Jewish roots; a tale of overcoming adversity; and a captivating read about a childhood unlike any other. To say that I devoured this one is an understatement! I started and finished in a few hours as it was just that good! Wonderful dialogue to comic descriptions this book is a must read! This book will have you laughing and crying! It is just a very inspiring read! So get swept away and be a Free Spirit! "[A] beautiful, powerful memoir . This assured debut is reminiscent of David Sedaris's and Augusten Burroughs's best work: introspective, hilarious, and heartbreaking." --Publishers Weekly (starred) "Haunting and beautifully written, Free Spirit draws you into the gritty, white-knuckle ride that was Joshua Safran's childhood. Spellbinding. A must-read." "Rich in detail, humor, and compassion, Free Spirit is an eloquent coming-of-age story about a mother's well-intentioned, but flawed, search for utopia and the impact her chaotic journey had on her son. Thankfully, Joshua Safran emerges from his impoverished, rootless childhood resilient, resourceful, and wise. A transformative book." "Some writers search everywhere for a great story, and others have a great story happen to them. Joshua Safran's tale of his upbringing among radicals, revolutionaries, and renegades is equal parts hilarious and touching. Strap yourself into the green bus for a whirlwind tour of the American underground through the eyes of an impressionable young storyteller-to-be." 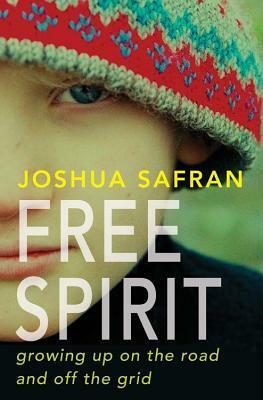 "Joshua Safran's Free Spirit provides a mesmerizing coming-of-age story for one of the next generation's most inspired spiritual progressives." "Free Spirit is a stranger-than-fiction look at an absolutely fascinating childhood."